The making of Black Sabbath’s 1970 album, Paranoid, will be the subject of a forthcoming Classic Album documentary from Eagle Rock Entertainment. Available in DVD and Blu-Ray formats, the documentary is scheduled for release on June 29. Featured material will include live performance footage, in-depth interviews with band members, and commentary from the album’s studio engineer. 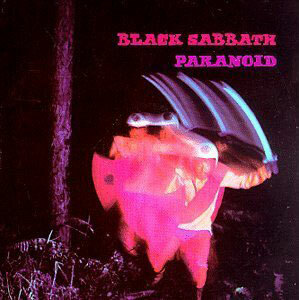 Considered by many to be the greatest heavy metal album of all time, Paranoid reached the Top 10 in the U.S. in March 1971, and spawned the classic Sabbath songs “Iron Man, “War Pigs,” and the title track. Eagle Rock’s long-running Classic Album series, which tells the back-stories to landmark recordings, has previously featured such discs as Pink Floyd’s Dark Side of the Moon, Lou Reed’s Transformer, and Deep Purple’s Machine Head. In the coming weeks, Gibson.com will take an in-depth look at Paranoid as part of its own “Classic Album of the Month” series.